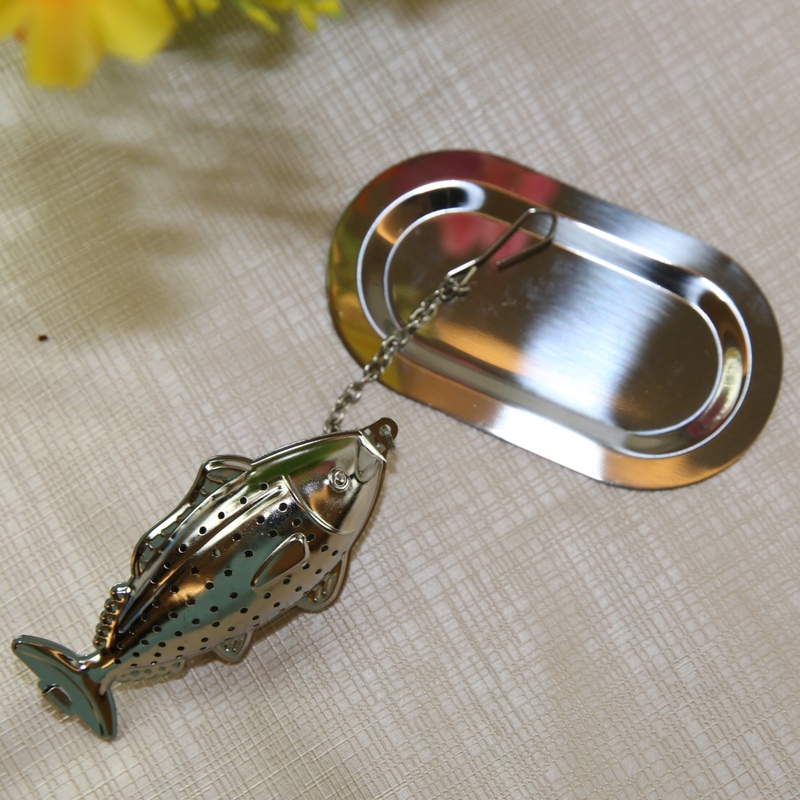 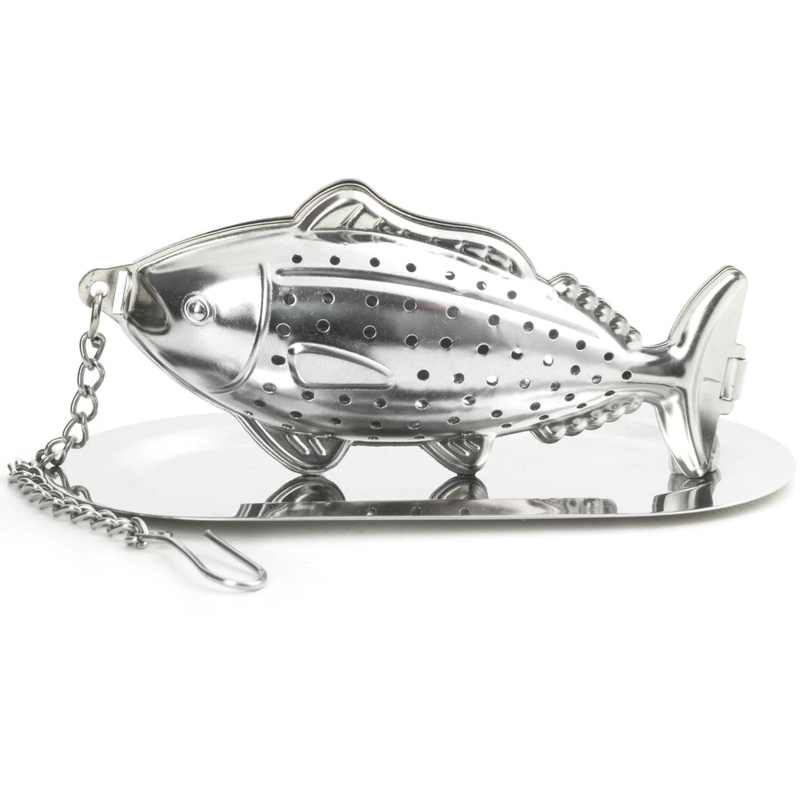 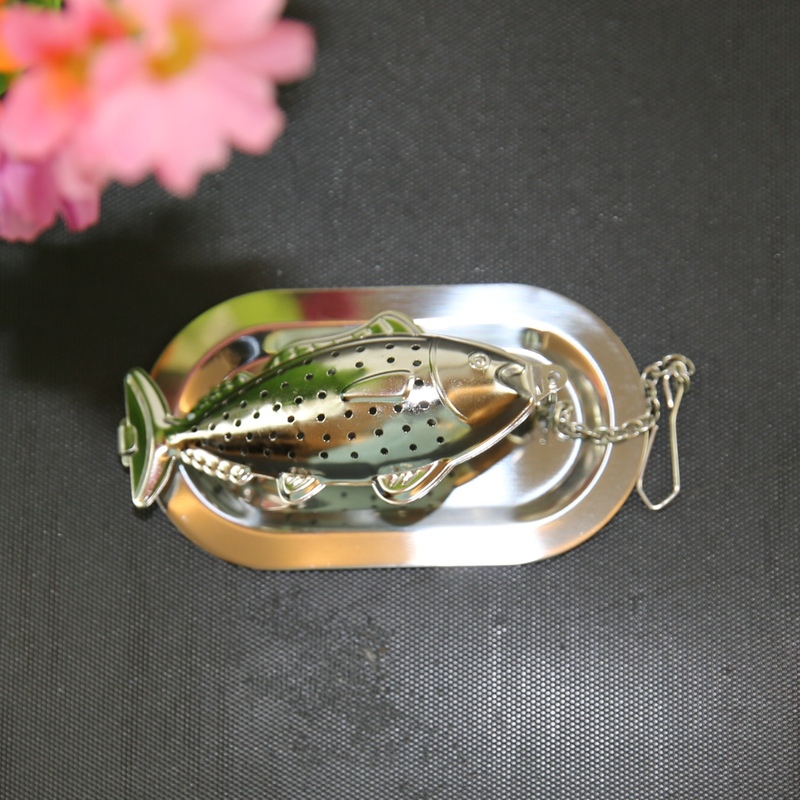 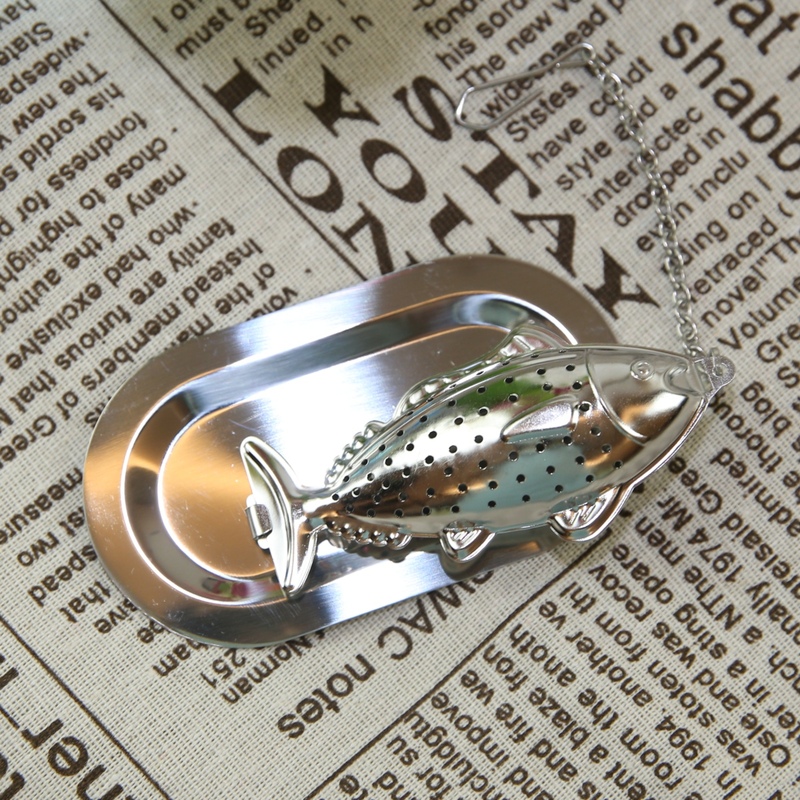 Fill this cleverly shaped infuser with your favorite tea and add a spot of fishy fun to your usual tea ritual. 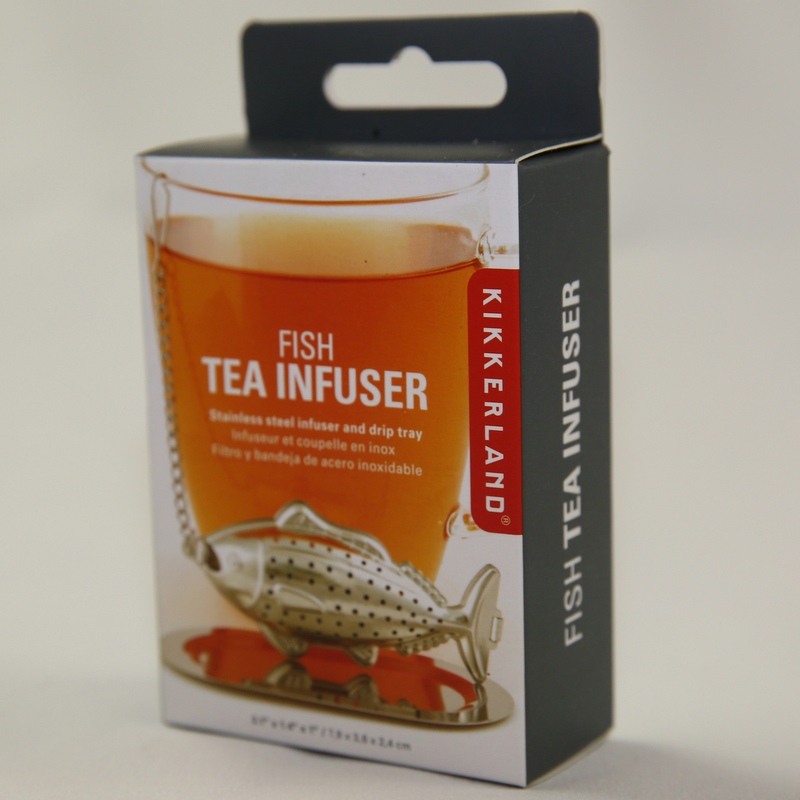 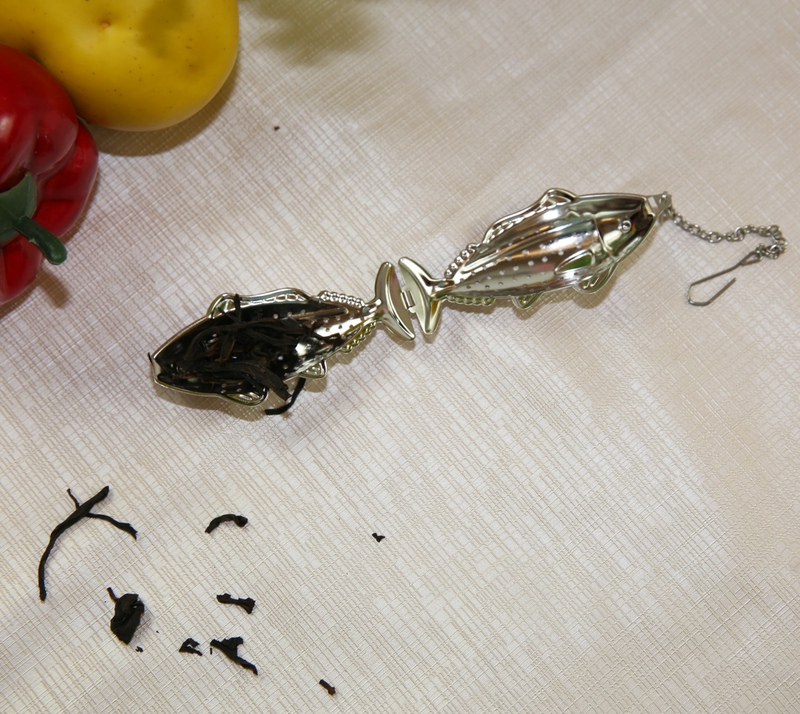 Infuser hinges open at the fish's tail to receive the perfect amount of loose leaf tea, then clicks shut with a clasp at the nose. 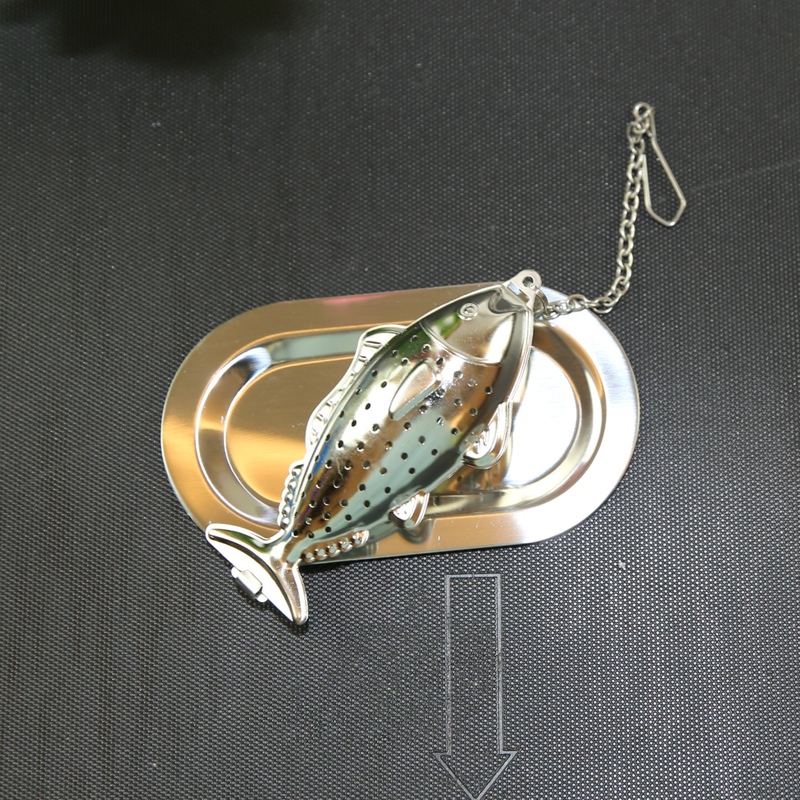 Stainless steel, with drip tray included.